Located in the heart of the Misquah Hills this relatively remote 125 acre lake is most easily accessed through entry point #44 Ram Lake and four medium length portages. 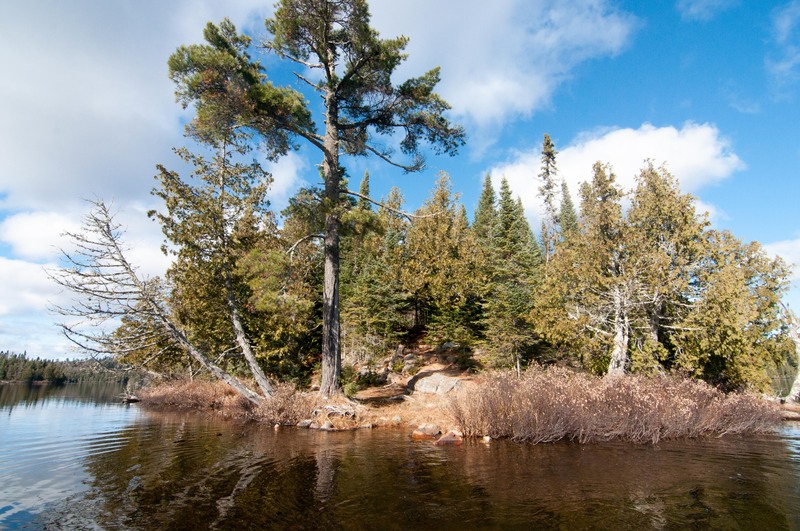 Here you will find relative solitude, three sub par yet reasonable campsites and above average fishing for native Lake Trout. The fact that only one permit can enter per day through Ram from the south and that the overly challenging for it’s length 200 rod from the north keeps people out means you can almost always guarantee campsite availability here. 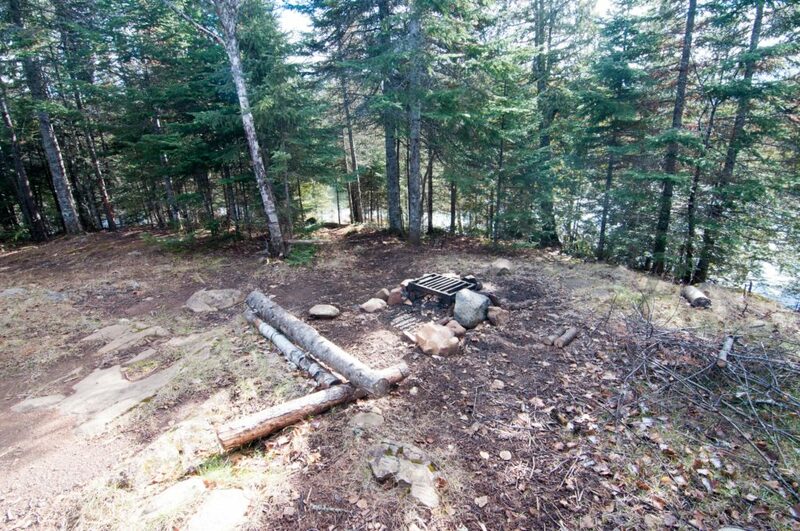 This small campsite just to the east of the portage into Misquah Lake is fine enough. 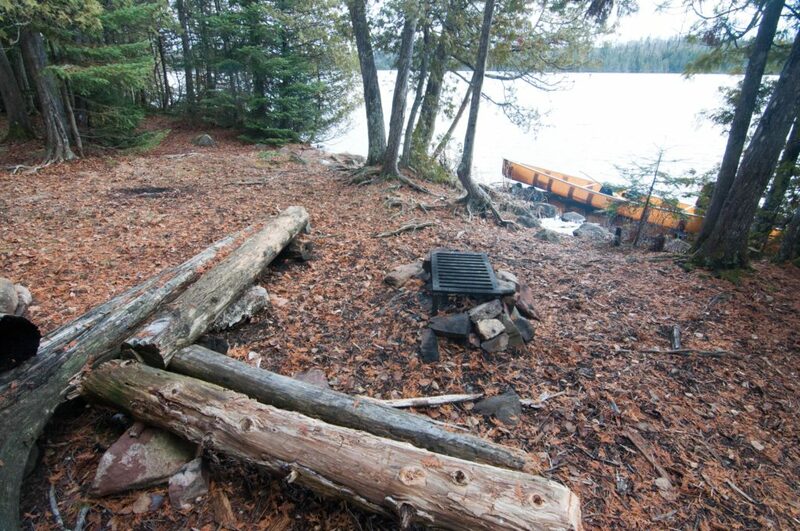 It mostly runs parallel with the shore of the lake and has a nice level fire grate area with two tent pads nearby. The landing is unremarkable, but it does seem like it could grow on you in terms of coziness. 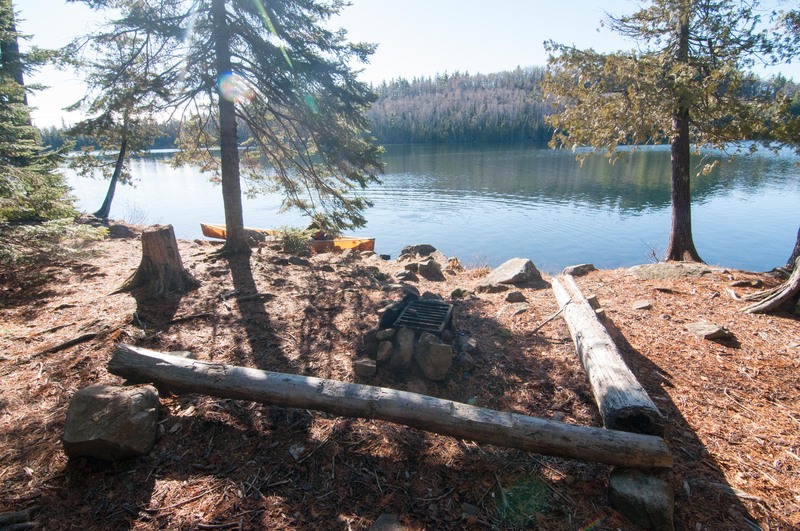 It offers the best views of any campsite on the lake. 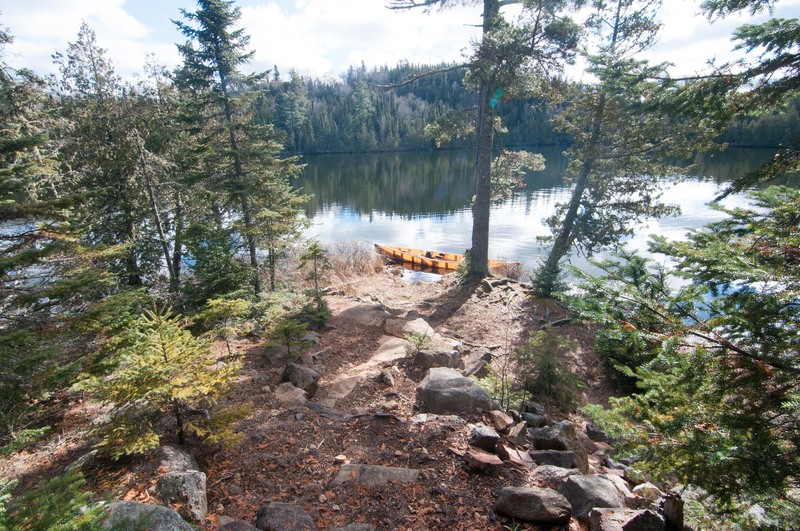 The concept of camping on a remote island within the BWCA always tickles the intrinsic animal instinct of providing safety and comfort. Especially when scanning the map, it seems our eyes always gravitate towards the red dots that find themselves out in the middle of the blue and our imaginations run wild. There are excellent island campsites out there but it seems in my experience the ideas that get built up in anticipation greatly over represent what you will typically find at an island campsite in actuality. I think the feeling that island campsites typically underwhelm is due to building them up in our minds before we actually see them. 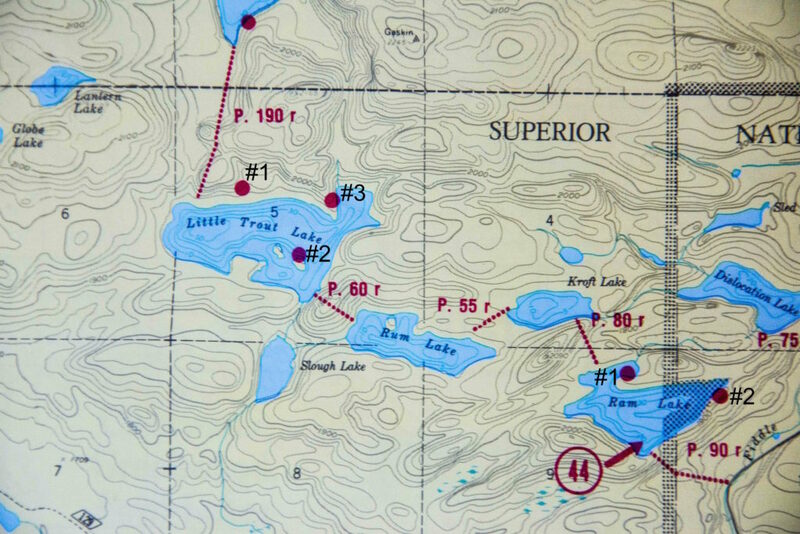 In reality the blue print of an island campsite in the BWCA is pretty much the same as any other, though harder to quantify there is always an added feeling of unique safety that comes from finding your self camped on an island. With all that in mind it can be said that this campsite is pretty underwhelming in person. 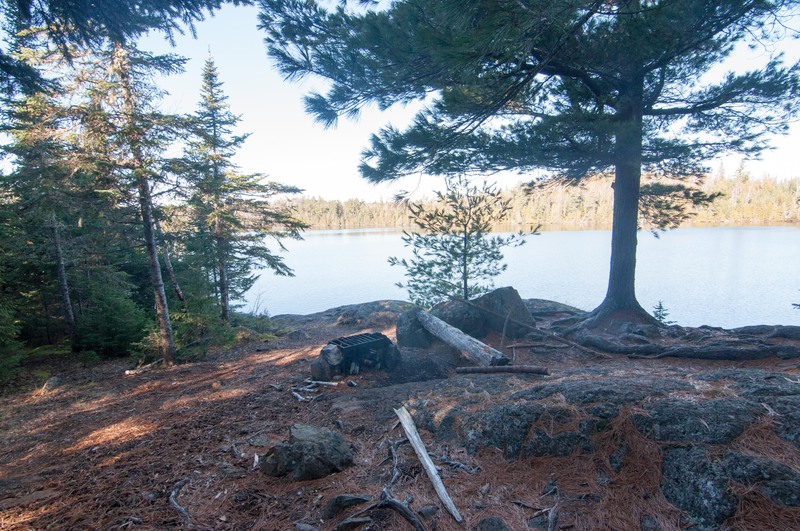 It has a nice little landing with a huge white pine that greets you, but then the path leads up to into camp and that’s when things start to disappoint. Sitting atop the middle of the island any of the physical proof of your existence on an island is removed by the fact that the campsite itself is entirely surrounded by forest. A couple of somewhat uneven tent pads can be found along with ample hammock space as well. The fire grate area is probably the most disappoint feature here though as it feels pretty shabby. The grate itself is very close to the ground, is surrounded by single log “bench” and looks out into a wall of trees. Maybe I am being too hard on this spot, but on paper its pretty lackluster, I guess the concept of island camping boosts this somewhat. Tucked around the backside of a point on the north shore of the lake is where you will find this quaint little campsite. 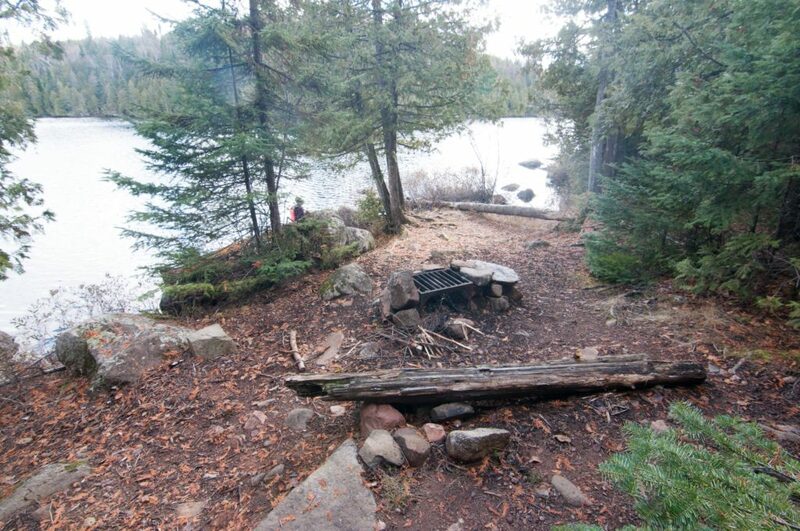 It has an average landing and decent little fire grate area that offers up close views of the lake which I can imagine makes for a lovely evening around the fire. The tent pads and hammock options can be found out the back of the site with views of the lake on the other side considering it is located on a point. 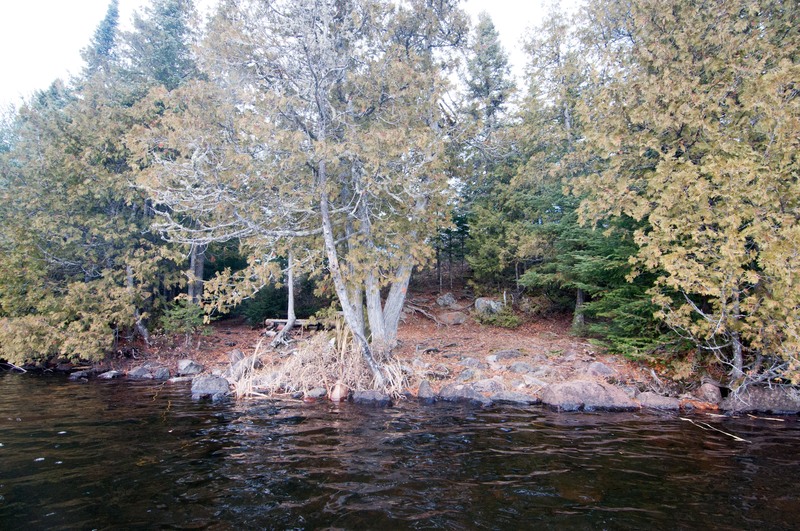 Overall a very private, nice site that might be the best one on the lake depending on how you quantify island life. This beautiful 70-acre entry point lake offers two great campsites, decent fishing for both lake and rainbow trout and relative solitude. Access is via an entirely uphill 90 rod portage from the east with a permit for entry point #44. 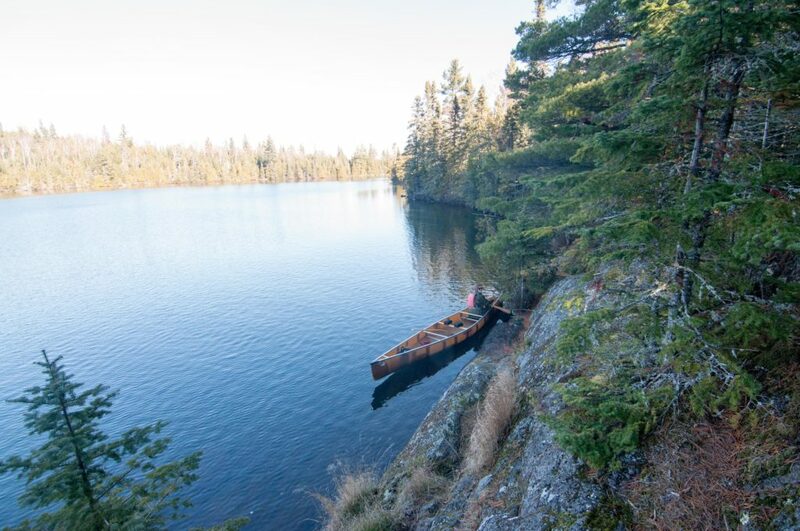 Don’t let the tough portage discourage you though, the climb is definitely worth it. There is something deeply satisfying about paddling across this lake on a calm morning with sunlight streaking through the crystal blue clear waters beneath you. There are solid numbers of good sized lake trout in those clean waters as well, and though not represented in any surveys it has been stocked with rainbow trout in the past. Any experience with catching rainbow trout here will typically be of the fingerling variety. 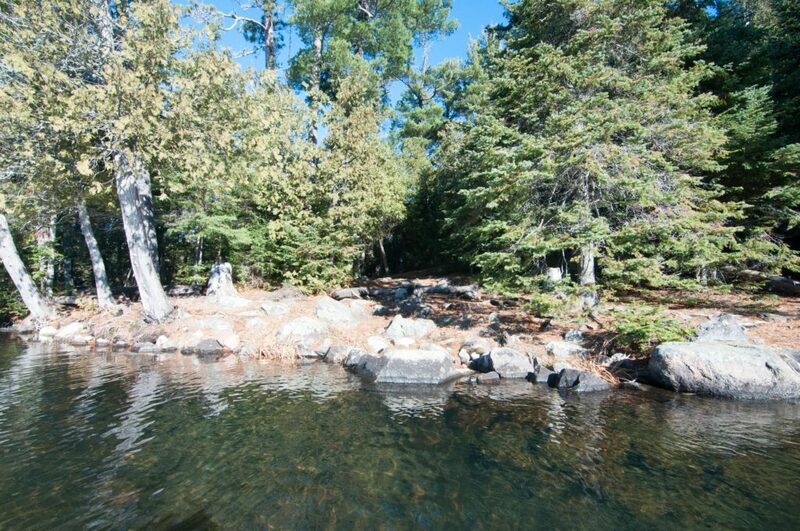 Sitting right up next to the stunningly clear waters of this lake is a spot just east of the portage into Kroft Lake. 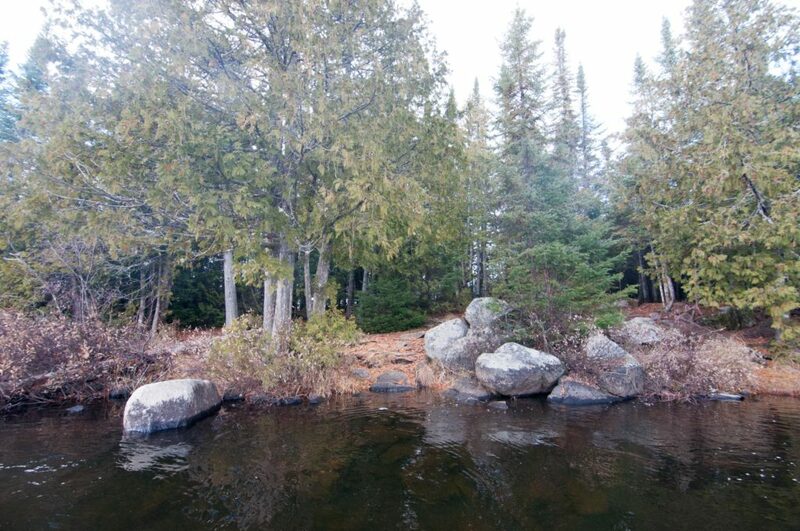 Large boulders do make the landing a bit tricky, but fire grate area is well laid out and its proximity to the water makes for easy slip bobber fishing, and the drop off from camp makes for easy casting as well. There are at least two tent pads in this site, though probably closer to three with nice hammock options out the back into the woods as well. For what it’s worth this is a great area to find ruffed grouse in the fall. This is one of the more unique spots in the area. 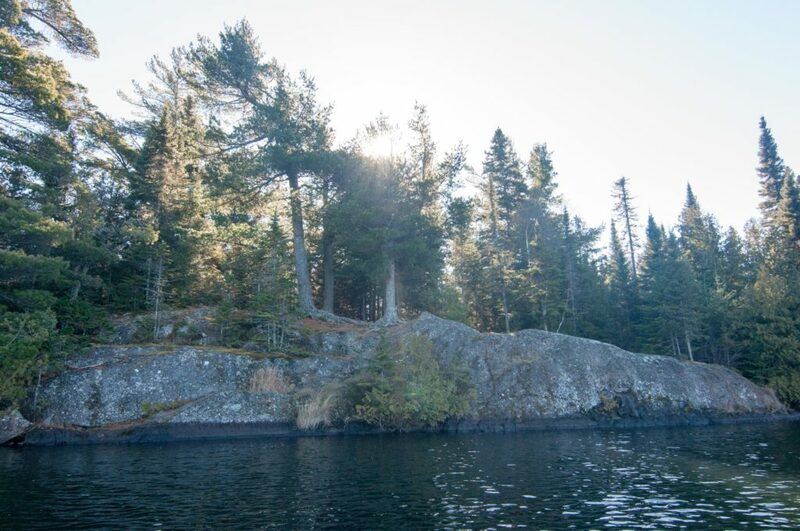 It is perched high atop a massive slab of Canadian shield offering unimpeded views of almost the entire lake below. The biggest drawback to this campsite is the landing options. There is one right along side the rock slab that is the closest to camp but carrying a pack of the narrow path seems dicey at best, and there really isn’t any place to store the canoe, though farther away from camp there is a second landing with more open space down the lake a bit further. Once you get all your gear hauled up into camp you will be treated to a perfectly perched fire grate area with plenty of space behind it for tents and hammocks.